Open up the application and navigate to the Favorite section by tapping the list button icon at the top right of your screen. How do I add a new frequent? You can add a frequent destination by clicking New at the top right of your screen. How do I edit an existing frequent? 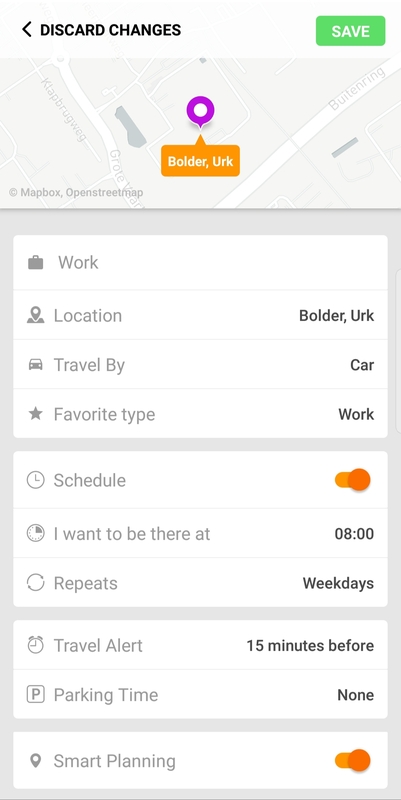 You can edit a frequent destination by tapping on the name of the frequent destination. Change your frequent destination as you like it. Find the address and specify on what day and time you want to be there. Also indicate whether you are going by car, bus, bicycle or on foot. Tap Save at the top right of your screen. How do i set Smart Planning? Do you see the Smart Planning button on the previous screenshot? If you turn it on, we reckon with your other calendar appointments. For example: you come home every day at 18:00, but you have one day an appointment of one hour at 17.45 ? We give you automatically a the travel advice for the favorite location after your other appointment. How do I delete an existing frequent? 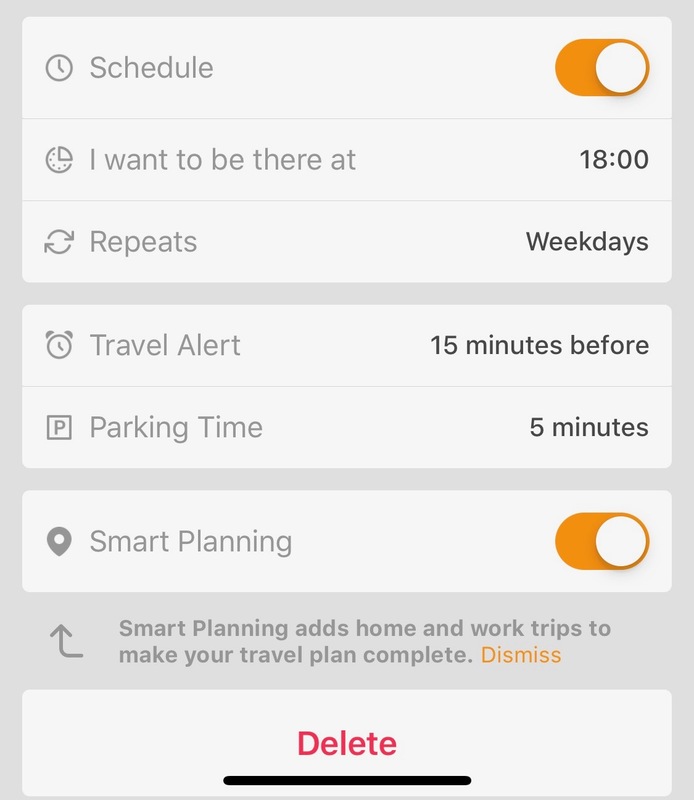 You can delete a frequent by selecting a frequent (by tapping the frequent’s name) and scroll to the bottom of the selected frequent. Once there, you will find a button which says Delete.